Take action to convert NIMBYs to YIMBYs. Answer their concerns about new housing. Persuade. PODCAST. 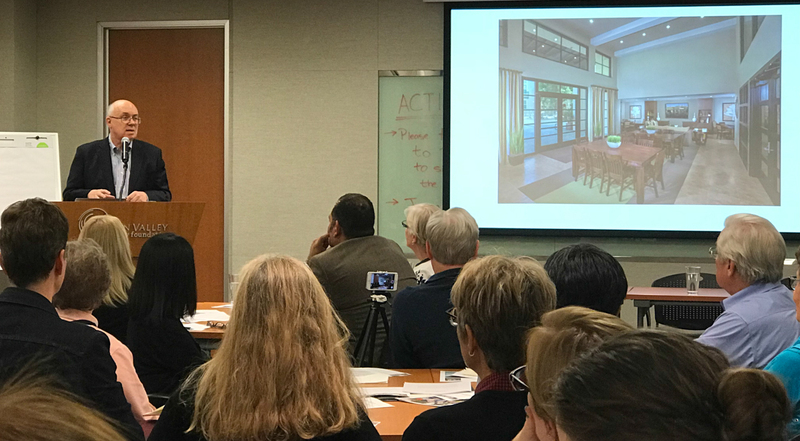 Here is a streaming audio file that starts with Robin Abrams – Los Altos Women’s Caucus – introducing Joe Simitian’s informative, funny and surprising speech. The following is a somewhat condensed “transcription” of Joe Simitian’s remarks. If you have the time, do listen. It’s more fun. This transcription does not include all the warmth and lively joking around. A video of of the event may be released by one of the sponsors: perhaps Los Altos Women’s Caucus or Silicon Valley Community Foundation. A person was at the event videoing with a smartphone. Joe Simitian did not use Powerpoint, so the video will add little to the voice only version you can listen to above on Soundcloud.. The Joe Simitian event attracted 60 to 70 people. This not a new problem. I found an old report from the Joint Venture Silicon Valley Network.. that pointed out that between 1991 and year 2000, our valley produced 6 times as many jobs as housing units. Oh, and then we were …shocked, shocked… that housing was scarce and expensive. Now we are again… acting shocked. We can learn from that history. We learn that if you create 6 times as many jobs as houses, you are going to create a problem for yourselves. You know that every ecosystem has a limit to its carrying capacity including our ecosystem as a city as a county, a region. We need to ask where we are headed on the demand side. If we are chasing more and more jobs, while we are chasing more housing…that is what got us here. If we are every going to get things in equilibrium, we have to talk about the demand side when we talk about the supply side. 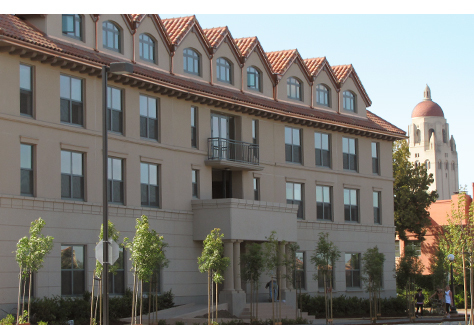 At Stanford …Here are some new Munger Residences, aka housing…balancing out added jobs and add square feet of facilities. Also there are two related but different conversations. 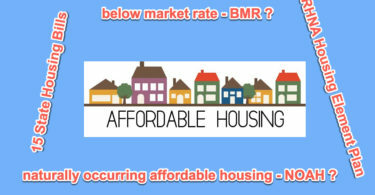 One is about market rate housing and one is about affordable housing. [See prior post. ]We ought to let the market work. But also there are some situations where the market will not work to solve the problems. You need some land, you need some money, and you need some community will [to provide low income housing.] Then you’ve got a solution. Can I identify a site? Can I find a funding source? If neither of those, can I at least be part of the “community will” that will see us through a sometimes contentious process? Advocate. Categories of income to qualify for BMR housing subsidies range from, extremely low ELI, very low VLI, low LI, moderate. Income limits to “qualify for a BMR unit vary by size of household. 2016 Measure A, the county-wide housing bond, $950M. 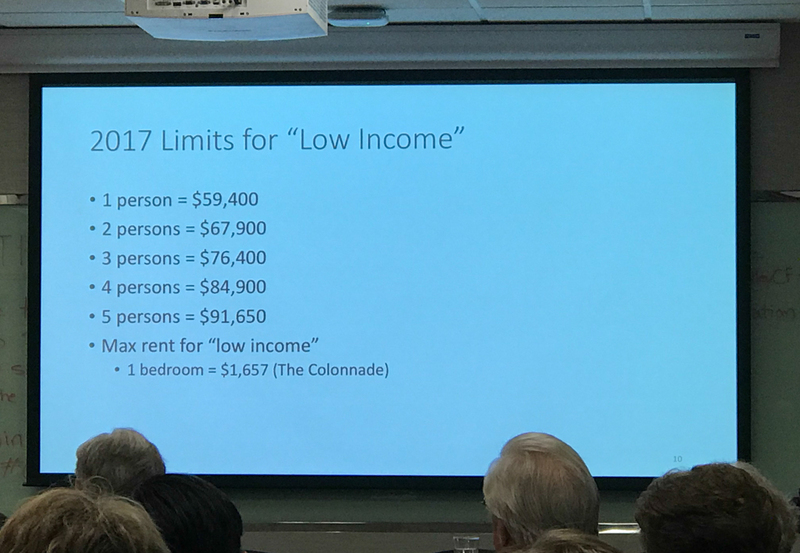 800M will go for “permanent supportive housing,” “rapid re-entry housing,” for people who are very low income <50% median, or extremely low income. <30% median. Get people, often homeless, into housing along with the supportive services they need. We are solving a social problem, with mental health services, substance abuse services, job training services. These people will be less of a burden on us taxpayers [as their use of expensive emergency type care decreases.] And $150 M of the bond is going for moderate income households, like first time home buyers. A dozen of these supportive projects for homeless and extremely low incom have already been approved and have started being produced. Employer Housing Mitigation. 18 years ago Stanford University asked for approvals for 2 Million feet of facilities and 3000 units of housing. The County required that the facilities and the housing be constructed in tandem, not facilities first and then housing later. 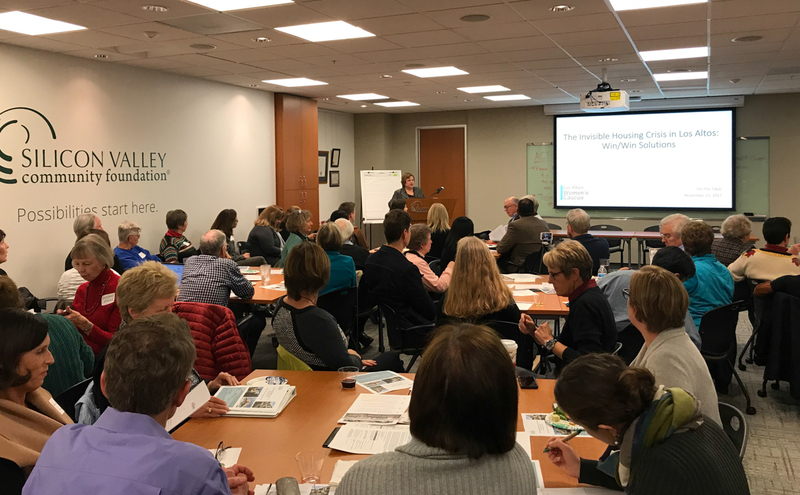 When a chunk of facilities was built, a chunk of housing had to be built before another chunk of facilities could proceed. This year Stanford is back, now again asking for approvals for another 2.75 million feet of facilities and 3,150 units of housing. The university is expecting 9600 new souls: faculty, students and workers. 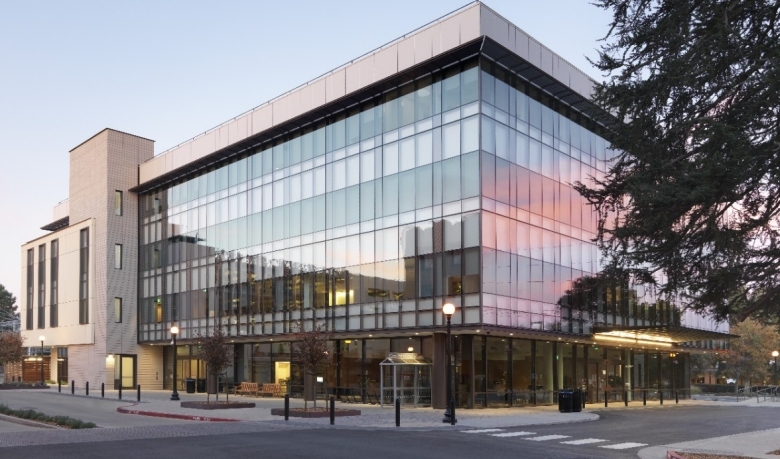 Facebook is starting to building housing in Menlo Park to balance its expansion of office space and new hiring. Rendering of Anton Menlo. 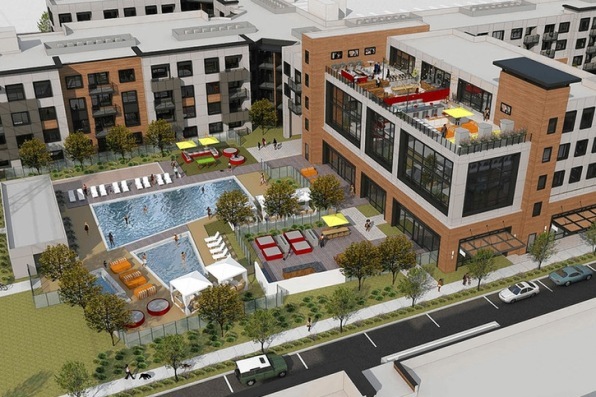 We need to take this Office + Housing approach with the other largest employers in the County and area, whether it is Facebook or Google…” What responsibility do these large employers have to provide housing that at least mitigates the housing demand they create as they grow and prosper? Buena Vista Mobil Park. 117 units, the last mobile home park in Palo Alto. Well-worn, but to the people who live there, it’s the American Dream. The average household income is $35,000 a year. This story is about creating “political will.” Over a period of 2 and half years we went from “there is not snowball’s chance in hell of saving this” …to closing on the property, starting a $15M upgrade, all while we keep all the families on the site. You don’t have to have graduated from the Saul Alinsky school of community organizing with Obama back in Chicago the day, in order to create political will, if you are prepared to stand up for the values of your community. When people out there are hearing these [low income] affordable housing development proposals, they are thinking, “what’s in it for me.” That should not offend us. We should have good answers. I tell people three things. Transportation Argument. If these people are here near where they work for me, they won’t be on the road in front of me…causing my delays. Joe Simitian says that it seems all the people who do the real work in Los Altos and Los Altos Hills live in Tracy! When our towns have an emergency, they will all be in Tracy and won’t be able to help us. Public Health &Safety. 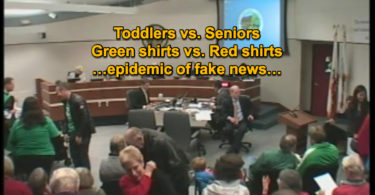 The next time we have a disaster, all the public employees will be stuck in Tracy. It must be the safest city in California… because that’s where all the cops, nurses, firefighters I’ve ever talked to say they live. Conclusion…Some people think Affordable Housing development is scary. But for me Affordable housing conjures up a Norman Rockwell picture. A community were everybody knows each other. A community with fabric. A community with economic diversity …as Mayor Mary Prochow has eloquently discussed. Panel discussion and audience Q&A. left to right. Joe Simitian, Mary Prochow, Leyslee Carilogna, xxxxxx. Joe Simitian says “supportive” housing is not scary. See slide of an attractive affordable housing interior in background. Rather for Joe, it conjures up a Norman Rockwell picture where everybody knows each other. The program then switched from Joe Simitian’s talk to the panel discussion and audience Q&A….omitted from this transcript except for certain selected remarks from Joe Simitian. 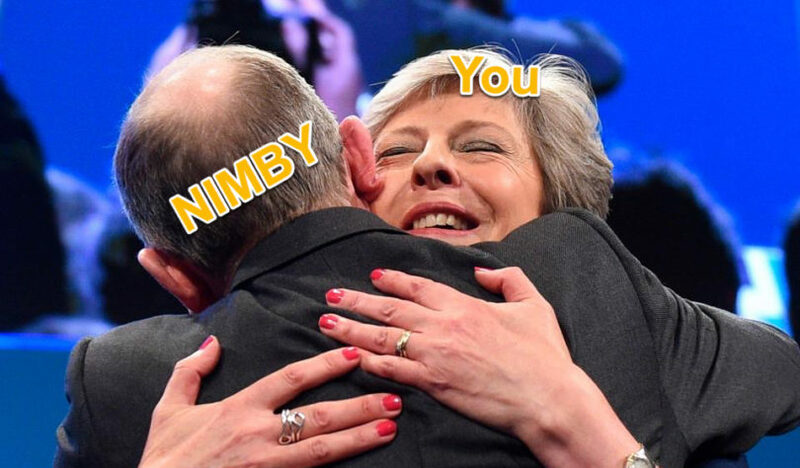 Hug a NIMBY. We vilify people who come forward with legitimate concerns. That is not the way to build political will in your community. Joe Simitian thinks the Bay Area RHNA process does not work well. 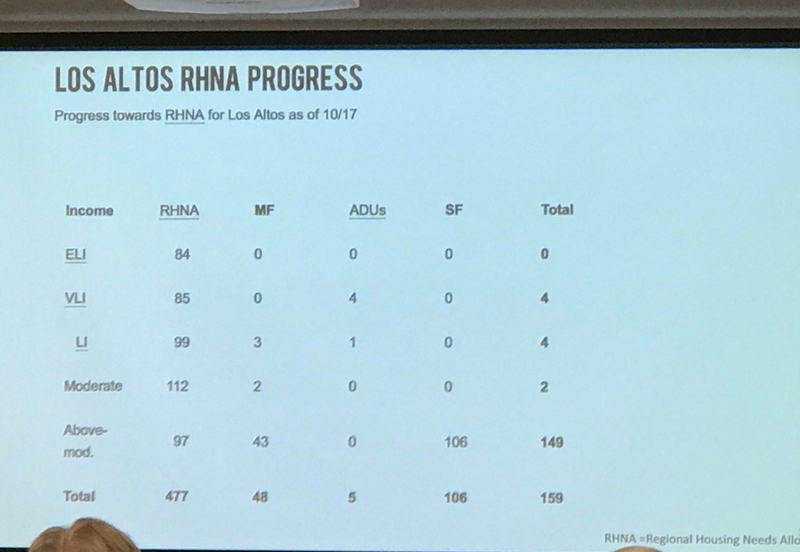 Shown are the 8-year period housing unit targets for Los Altos…with progress so far. Note the “above moderate” income row. A RHNA target of 97 and “over” production of a total of 149 units including both single family 106 and multifamily units 23. Note in the other rows.. the total failure of Los Altos to produce low income housing. 3. The RHNA process is 20 years old and does not work well. 4. People don’t trust the expert planners [behind RHNA]. “You told us 10 years ago if we built 1000 houses things would be fixed. But we also got 5000 jobs so it’s worse.” This pattern is increasing the number of NIMBYs. We must move towards getting jobs and housing in balance. 5. Levels of government and jurisdictions should cooperate. The simplest way is “if you have a community that says…’we don’t want to see high rises in our future’…great..but they have some money…because if you have another community a mile or two down the road that says…’we have some land, but no money’… wouldn’t it be nice if they could work together. The RHNA process we already talked about has not accommodated that. But those conversations are starting now. 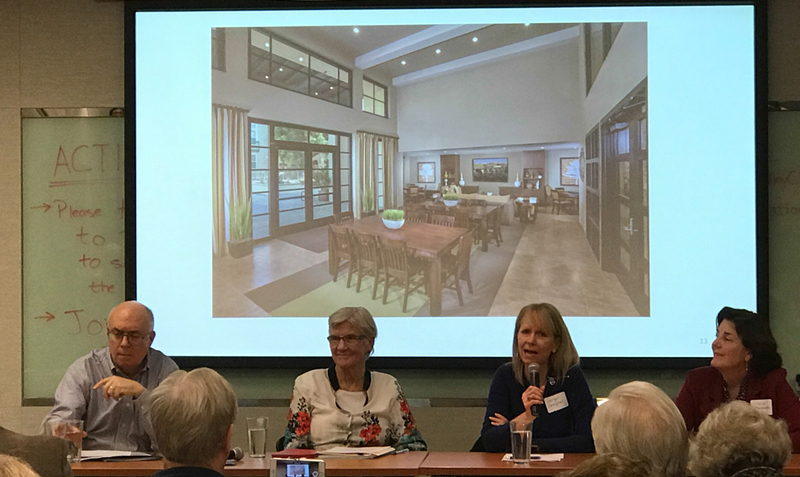 Los Altos Hills….I don’t think they are going up to 20 stories…But if they put some money in the pot…and another jurisdiction said we’ll take the money and housing…that kind of cross border collaboration could provide housing pretty quickly. A month ago I was disappointed by a local event that focused on stating how big and bad the housing “crisis” is. That talk was just a problem statement. What I heard is that for most of us, your personal “action” will likely be to disarm NIMBY’s in your community with your love and understanding. This is propaganda for sure. And it’s probably part of a nationwide seemingly well-funded YIMBY “movement.” Let’s see if it works. Simitian suggested good, practical compromise ideas, not just propaganda. Perhaps most interesting among them… that Los Altos and Los Altos Hills shouldn’t have to build a 20-story high rise project to house the neediest of all. Instead the towns should charge an affordable housing fee for all building permits [or get the money in other ways] and transfer the money to a city that has the land, wants that housing, but needs the money. [Cupertino already has such a fee on both residential and commercial building permits.] Let’s do it. I personally think a little more economic diversity in the town of Los Altos would be a good thing. But having unelected officials use RHNA to spell out exactly how much economic diversity Los Altos should have feels like an overreach. It’s creepy. Let’s take broad action to reform the RHNA process or replace it. A survey earlier this year found that more than half of Americans say they would prefer to live in an area where the people make about as much income as they do [not a lot more, not a lot less] and are similar [whatever that means?]. We know that people still go off and form “intentional” communities to be exclusively around people who think and act almost exactly like them. They eschew the non-conforming people. Their community might be religious, ethnic, or language oriented. [or all three.] I think we also need to tolerate clanishness as much as we tolerate diversity. Our community will decide how much extra economic diversity it ‘needs’, and where it should be zoned.